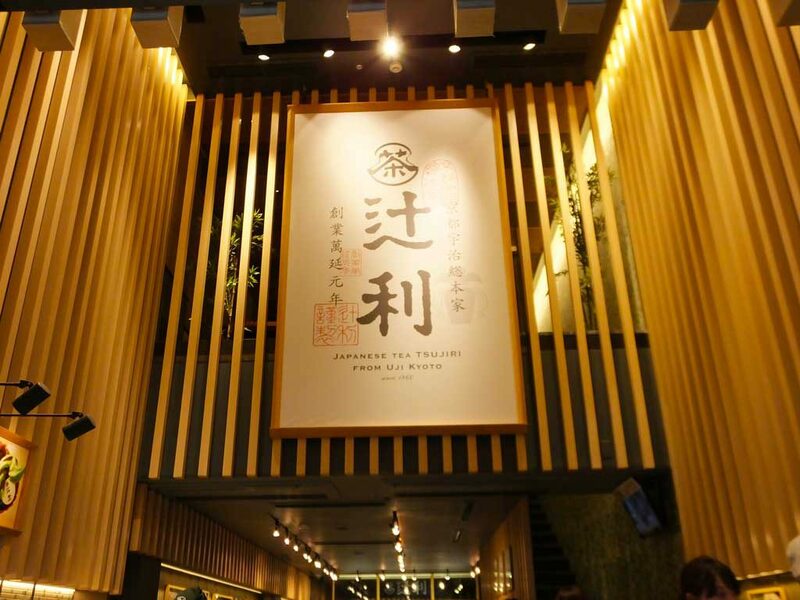 Tsujiri is a famous tea brand born in Kyoto in 1860. 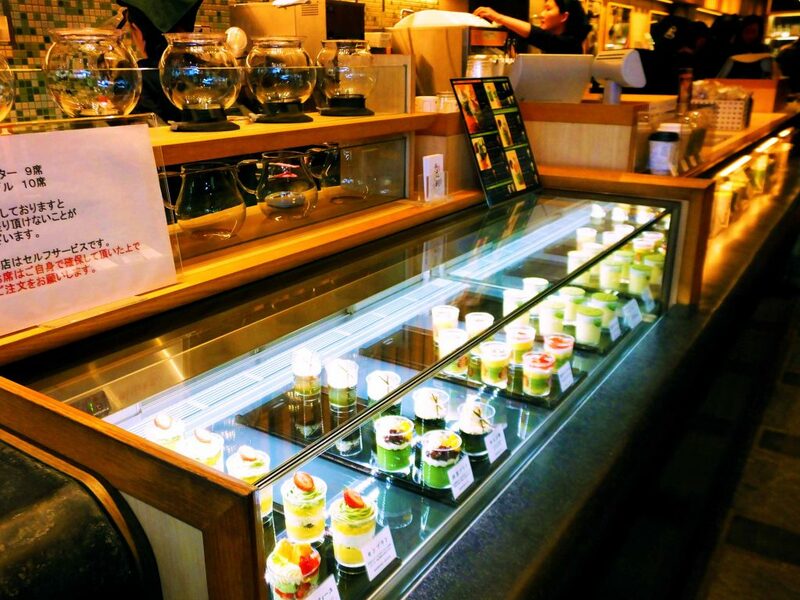 Today Kyoto has many cafes, and you can easily enjoy sweets and drinks of high quality matcha green tea there. 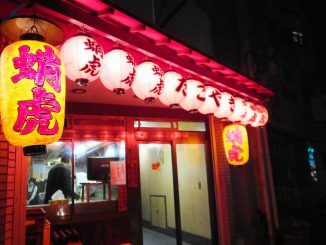 Tsujiri Kyoto-Mise on Shijo Street is one of the best places among them, to drop by after walking around the city. You may eat and drink there, or take your drinks to go. The sweets and drinks of Tsujiri are made from selected green tea leaves from Uji (the famous tea-growing region), and they have been using the traditional grinding method for the best aroma and flavor. The showcases are in the dim lighting, but is it only to make a good atmosphere? I’m not sure, but I guess this is because matcha is vulnerable to light. 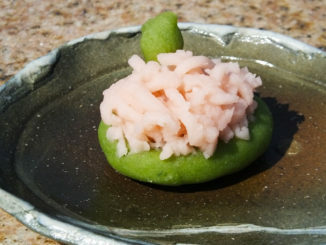 The color and flavor of matha can slightly change in bright light. That is why the world famous Haagen-Dazs uses opaque cups for matcha flavored ice cream. I ordered extra rich matcha latte. 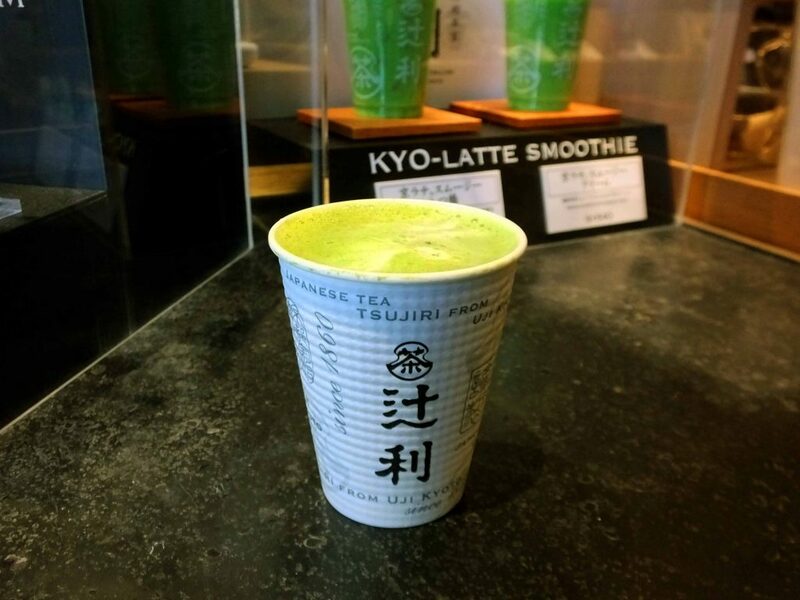 It has a rich taste of matcha, with well balanced sweet and bitter flavor. It is 432 yen, and definitely worth drinking if you are interested in matcha. I recommend matcha especially for women, because it is said to be good for diet, anti-aging and clear and smooth skin. Now there are many Tsujiri cafes in the world -in the UK, Canada and Australia. 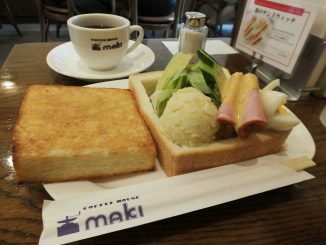 Moreover, many Tsujiri cafes newly opened in Kyoto and Tokyo in 2016 and 2017. Maybe these stylish cafes are a new trend of traditional matcha. It is interesting.